An intellectual revival of Marxism is one of the predictable consequences of the financial crisis. In the twenty years before the storm broke, the Marxisant intelligentsia was more marginal in politics and culture than it had ever been. This was not because Marxism had been falsified—an event that occurred a century or more before, when it became clear that no advanced industrial society was developing as Marx had predicted. Rather, Marxist intellectuals had become unfashionable—an experience far more galling than the refutation of their theories, which anyway they failed to notice or explained away. But the collapse of communism was not so easily ignored. While they were fond of posing as stern critics of “actually existing socialism,” these theorists had always assumed that any changes that occurred in Soviet-style regimes would be in the direction of socialism of a more humane kind. How could they account for post-communist Russia, where a hyper-modern version of authoritarianism thrives under the aegis of nationalism, orthodoxy, and a renamed and semi-privatized KGB? Or for China, where the ruling Communist Party is overseeing the advance of a type of capitalism more ruthless than that found in any Western country? These hitherto irrepressibly prolix commentators on world events had nothing to say, and they were compelled to suffer the mortifying indifference that is dealt out to those whom history has passed by. But as capitalism now struggles with one of its periodic crises, the Marxians have been able to re-emerge from the shadows, and to tell the world that they were right after all. At the same time, with Western capitalism in disarray, they can attempt to rehabilitate socialism as it had once existed. Life in the former Soviet Union was not, after all, all that bad—no worse, in any event, than in liberal democracies that are being ravaged by the excesses of the free market. If there was repression in Soviet-bloc countries, it had surely been exaggerated for the purposes of the cold war, while to the extent that repression was real it could now be seen as largely justified. Seemingly vindicated by a renewed crisis of capitalism, Marxisant intellectuals can now look back with benign nostalgia on the actually existing socialism of a generation ago. IS THE ABOVE a caricature? Anyone who thinks so would do well to read Terry Eagleton’s new defense of Marx. Why Marx Was Right concludes with the rhetorical question, “Was ever a thinker so travestied?” Eagleton’s working premise throughout is that all the major objections to Marx’s thought emanate from misunderstanding or malice. Though he repeatedly declares that nothing in Marx’s thought is beyond criticism, there is in fact very little in Marx to which Eagleton takes serious exception: this book is an apologia, not an exploration of a nineteenth-century German thinker who might here and there still have something of importance to tell us. The reader must plod through pages of stodgy polemic, with Eagleton pleading—as countless fellow-Marxians have done before him—that Marx was never an economic or technological determinist, but instead a deeply moral thinker, a voice of protest in a cruel and amoral world. There may be a side of Marx’s thought that supports such a view, but it is hard to reconcile with the claim, which Marx undoubtedly made, to have formulated a type of socialism that was scientific in nature-a claim that is also hard to square with Eagleton’s own views. A cultural theorist who applies Marxian thinking to literature and the arts, Eagleton is also a Roman Catholic of some ill-defined renegade variety. His attitude to religion differs from that of the common run of progressive thinkers, and he has been refreshingly acidulous in his comments on the rationalistic cult of the “new atheism.” But Eagleton’s sympathy for a version of Christianity leads him to gloss over Marx’s unyielding enmity to it and every other religion, and represent Marxism and Christianity as similar versions of a type of tragic humanism. He describes “Christian Marxists who champion so-called liberation theology” as being “materialists in Marx’s sense of the word,” and tries to fuse Marxism with Christianity by arguing that Marx was an exponent of “the tragic vision” who endorsed revolutionary struggle, with all its savage conflicts, “in the traditional spirit of tragedy.” But it is far from clear that Christianity preaches a tragic view of things; and if Marx had a tragic view of history, it owed very little to Augustine. It is a commonplace refrain, perennially popular because it appeals to what are supposed to be worthy moral impulses. Who could fail to yearn for a world in which individual and society are at one? Yet a little historical reflection suggests some doubts. From the way Eagleton describes Marx’s commitment to individual self-cultivation, you would think he was talking about Mill. But Mill also recognized, unlike Marx, that harmony in society has dangers of its own. A fantasy of German Romanticism that enchanted not only Marx but also movements of the radical right, the dream of organic social unity has always been repressive in practice. And this is not because the ideal has been wrongly interpreted. Hostility to minorities is the very logic of organicist ideology. Marx located his ideal society in the future; but like that of the German nationalists who looked backward to an imaginary folk culture, his communist dream-world could be entered only by shedding particular identities (including that of Jews, who would be emancipated by ceasing to be Jews and becoming specks of universal humanity). In a society of the kind of which Marx—along with Herder and his disciples—dreamed, anyone who resists being absorbed into the social organism will be stigmatized as deluded or diseased. Eagleton laments the fact that the Marxian vision can never be realized—a tragic implication, as he sees it, of the fact of human imperfection. But it is the ideal itself that is inhuman. Not only minorities, but also the majority of the species, are excluded from the world that Marx and Lenin envisioned. A society in which the communist ideal has been achieved would be worse than any that humans have ever lived in. Driven by their hatred of ordinary life, the Bolsheviks wanted a world without myth and religion, in which the particular communities in which humans understand and fulfil themselves have been left behind. Happily such a world runs against the most powerful and enduring human needs, and for that reason it is impossible. CONTRARY TO conventional academic wisdom, which still harps on the obstacles that the Soviet state had to overcome—the legacy of czarism, foreign intervention, civil war-the repression that defined Soviet life from the beginning to the end flowed principally from the communist idea itself, which requires that any group that defines itself differently from the rest of society must eventually be destroyed. Interestingly, Eagleton does not deny this. Like many others, he writes as if repression became severe only under Stalin, which is nonsense. But his principal claim is that Soviet repression was a price worth paying, since it made possible a type of social cohesion that has not been achieved in Western countries. The Soviet Union, he tells us, “fostered the kind of solidarity among its citizens that Western nations seem able to muster only when they are killing the natives of other lands.” Let us leave aside the question of how much this cohesion was worth if—as Eagleton admits—it rested on fear. A more fundamental question is whether the solidarity of which he writes ever existed. Did Eagleton ever visit the former Soviet bloc? If so, he managed to avoid contact with ordinary people. As anyone could tell him who traveled there and was ready to venture beyond the safety of official meetings and the hotel bar, Soviet-bloc societies were thoroughly Hobbesian in their workings. The normal human condition there was not solidarity, it was atomized isolation. True, there was an extensive apparatus of free housing, medical care, and education; but access to these goods was achieved through networks of privilege and ubiquitous corruption. Though they did not suffer unemployment (which was illegal), working people came off badly in the struggle of all against all that was incessantly waged. Lacking anything resembling independent trade unions or political organizations, they were unable to control their working conditions or to improve their position in society. Among ordinary citizens, probably only pensioners who were ruined by inflation following Western-sponsored policies of shock therapy were unequivocally worse off as a result of the communist collapse. Ruled by market exchange, communism in practice had more than a passing resemblance to the predatory culture commonly associated with laissez-faire capitalism. Eagleton does not address these facts, for his view of the world is not founded in facts. He admits that “capitalism works some of the time, in the sense that it has brought untold prosperity to some sectors of the world,” only to go on to assert that “it has done so, as did Stalin and Mao, at a staggering human cost” and “is now threatening to destroy the planet altogether.” The notion that the excesses of contemporary capitalism are on par with the crimes of Stalinism and Maoism is crazy. Contemporary Western capitalism has many faults, some of them conceivably fatal; but it cannot be placed in the same category with systems that perpetrated the mass murder of their own citizens, and which were responsible for the worst ecological catastrophes in modern times, possibly in all of history. EAGLETON'S WILD hyperbole does tell us something about what he means when he praises the spirit of tragedy. Tragedy appears in ethics and politics when doing the right thing requires making a temporary peace with a lesser but still great evil. That is how Churchill understood the alliance with Stalinist Russia: civilization could not survive in Europe, or the world, unless Nazism was destroyed, but securing that end meant joining forces with a regime that was steeped in barbarism. Genuinely tragic conflicts can be recognized because they conform to an injunction akin to Occam’s razor in logic: tragedy must not be multiplied beyond necessity. Tragedies are not ways of making life more interesting and exciting. They occur when we are faced with an inescapable choice among evils, and they must be clearly distinguished from the kind of moral horror that occurs when atrocious means are used in the pursuit of impossible ends—a perversion of tragedy in which terrible crimes are inflicted chiefly to secure a meaning in the lives of those who perpetrate the crimes. Suicide-bombing is an example, and so was Soviet communism. Eagleton wants us to put the human costs of communism in the balance with the ideals that communism was attempting to achieve. Rightly, he maintains that great goods can demand great sacrifices, sometimes involving conflicts of values that have no rational solution. But the incoherence of his thinking is clear when he asks, “How does one weigh the value of modern science and human liberty against the spiritual goods of tribal societies? What happens when we place democracy in the scales along with the Holocaust?” Tribal life—along with whatever spiritual goods it makes possible—may well be incompatible with modern conditions, but what possible reason could there be for thinking that democracy can be achieved only at the price of the Holocaust? Eagleton is plainly unable to distinguish between unavoidable choices among evils and the needless tragedies that are incurred in the pursuit of absurd and repugnant dreams, and so he slides into moral nonsense of the worst kind. No doubt Eagleton imagines that all of humankind (aside from the cynics who disagree with him) shares his dreams. His voyeuristic fascination with the Soviet experiment is testimony to this belief. But what was horrific about communism is that it incurred vast waste of life for the sake of an ideal that is intrinsically repugnant to the majority of human beings. For most Russians—as for most people in every country that has undergone a communist experiment—actually existing socialism was not a sad betrayal of a noble vision. The vision itself was loathsome, and the actuality, with all its squalor and misery, was preferable. When the Soviet Union shuffled off the scene—uniquely, for a regime founded on terror, without any significant violence—its passing was not lamented, not even by the nomenklatura that most benefited from it. Despite the disasters of shock therapy, there has never been any broadly based movement seeking a return to the Soviet system. If Eagleton omits to mention these facts, it may be because they undermine his sense of his own importance. The tragedy that he projects onto Russia enables him to imagine that he has a part in a universal drama, when his true role is that of an actor in an absurdist comedy: the selfdelusion of the Western bien-pensant. IRONICALLY, EAGLETON misses the part of Marx’s thought that contains genuine tragic insight. To be sure, the conception of tragedy that one finds at work in Marx has little in common with any Augustinian idea of human imperfection. Christianity is not a religion that recognizes tragedy as an ultimate moral fact. Dante wrote not of tragedy but of a divine comedy, and for Christians the disasters of history are chapters in a narrative that is bound to be finally redemptive. Marx, by contrast, is more attuned to Job’s prophetic fury, and to the sense of fatality expressed in Greek drama (it is sometimes forgotten how familiar Marx was with the culture of classical antiquity), than to anything in Christianity. As is clear from his suspicion that the crisis of capitalism might be resolved by a renascence of barbarism, Marx fully accepted the possibility of unredeemed tragedy. The power of his thought, together with whatever relevance it has today, comes precisely from this recognition. One need not accept Marx’s economics-the convoluted apparatus of the labor theory of value and exploitation—to see that he grasped something profound: while capitalism has been a liberating force, the logic of capitalism as a system is to undermine and potentially to destroy itself. Classical economics was not as optimistic as is commonly believed. David Ricardo and Adam Smith both suspected that the commercial civilization created by capitalism would be undermined by internal conflicts. But economics as a discipline has for the most part operated on the basis that markets are self-regulating systems, which tend toward a benign equilibrium so long as they are not interfered with by governments. In arguing that capitalism is inherently unstable, Marx was closer to reality than generations of mainstream economists. His insights are particularly relevant at a time when the economics profession devotes itself to the mathematical modeling of delusional harmonies. No economist who had read Marx, or who was otherwise historically literate, could have taken seriously the notion of a Great Moderation, a permanent condition of steady economic growth in which the conflicts of capitalism had been forever overcome—as the majority of economists plainly did. Not all economists have been so ignorant and witless, of course. Famously—and in my view correctly—Keynes challenged the assumption that free markets are self-regulating, arguing that unmanaged capitalism can get itself into a trap from which market forces are unable to extricate it; only government action can then stave off disaster and restart the economy. Keynes believed that the anarchic forces of capitalism could be domesticated, and for a generation or more his analysis was vindicated. Now the financial crisis has planted a question mark over that analysis. Globalization has reduced the scope of government intervention, while the fragility of the financial system poses a larger threat to the stability of the economy than any cyclical downturn has done for generations. At the same time, the social effects of capitalism are becoming more disruptive. Fundamentalist believers in the market imagine that a deregulated economy would lead to a kind of universal bourgeoisification—a society in which nearly everyone could aspire to a solidly middle-class life. The reality is that for a majority of people in the United States, Britain, and parts of Europe, middle-class life is rapidly ceasing to be a viable option. With their houses and pensions depleted in value and the job market increasingly fragmented and insecure, many who thought they were middle-class are finding themselves in something like the position of Marx’s propertyless proletarians. Capitalism does not entrench bourgeois life, as its ideologues claim. An incessant process of creation and destruction, capitalism consumes the bourgeois world. The consequences remain to be seen. But there is the possibility here of a conflict that is genuinely tragic—between capitalism as the producer of wealth on an unprecedented scale, and capitalism as the destroyer of what we still call liberal civilization. CONTRARY TO what generations of Keynesian liberals and social democrats believed or hoped, capitalism has not been tamed. It remains a dangerously unruly beast—just as Marx described. This is the starting point for Eric Hobsbawm’s exercise in Marxian apologetics. “The globalized capitalist world that emerged in the 1990s,” he writes in How to Change the World, “was in crucial ways uncannily like the world anticipated by Marx in the Communist Manifesto.” Well, up to a point. The world today resembles the anarchy presciently foreseen by Marx and Engels over a century and a half ago far more than it does the utopia of steady growth whose arrival the free-market enthusiasts of the 1990s confidently announced. Having escaped control by national governments, capital is mercurial and inherently disorderly; and as a result many advanced industrial countries face internal unrest. But while Marx’s account of the future of capitalism has proved to be more realistic than the prophecies of capitalism’s later evangelists, the world is still vastly different from anything that Marx imagined. Like most nineteenth-century thinkers, Marx expected religion to fade away with the increase of prosperity and the advance of scientific knowledge. Instead religion is at the heart of politics and war, just as it has always been. Marx never doubted that the globalization of capital would occur in tandem with the decline of nationalism. In fact globalization has triggered a nationalist backlash in many parts of the world. Marx assumed that the emancipation of capital from political control would happen everywhere. In reality it has occurred chiefly in the capitalist West, with newly capitalist China and Russia retaining control of the economic commanding heights. So long as barbarism could be averted, Marx expected the free market would be replaced by socialism. But the free market’s successors are much more likely to be other versions of capitalism—the state capitalism of China, the social-market capitalism that has made Germany the most successful advanced economy, and other varieties of capitalism that are yet to develop—than any kind of socialism. 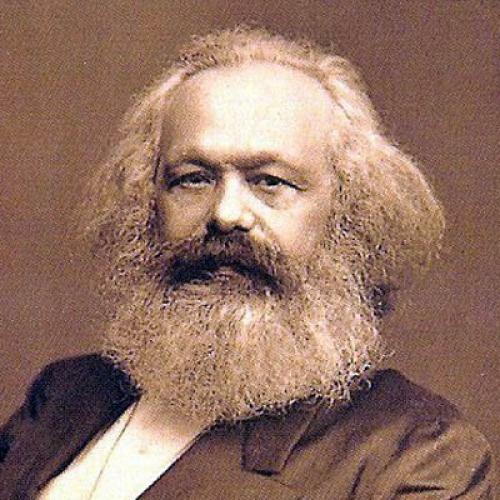 While Marx’s insight into the anarchic quality of capitalism is an invaluable corrective against market utopianism, his view of the world that globalization was producing mirrors the fantasies of market liberals. Hobsbawm’s The Age of Capital (1975) and The Age of Empire (1987) demonstrated a deep insight into the interactions of ideas with power, but unfortunately that insight is not applied to communism. In his new book as in his other works, the Soviet experience is mentioned almost in passing, and then only in the most evasive terms. Of the sixteen chapters in this large book, only one focuses on the twentieth-century relevance of Marx. The remaining chapters are devoted to pious scriptural exegesis and long-forgotten intra-leftist sectarian controversies—“Dr. Marx and the Victorian critics,” “Discovering the Grundrisse,” and the like. The dozen pages that deal with the bearing of Marx’s thought on the world today are a tedious litany of errors and half-truths. To take only one example: like Eagleton, Hobsbawm sees ecological crisis as a by-product of capitalism and omits to mention the environmental destruction that has everywhere accompanied central planning. “There is a patent conflict,” Hobsbawm remarks, “between the need to reverse or at least to control the impact of our economy on the biosphere and the imperatives of a capitalist market: maximum continuing growth in the search for profit. This is the Achilles heel of capitalism.” But it was the pursuit of maximum industrial growth that produced a catastrophic dust bowl and famine in the former Soviet Union, just as it did in Mao’s China. Along with the rest of the Soviet reality, Hobsbawm consigns this fact to the memory hole. The few sentences that Hobsbawm does devote to the Soviet Union are clichés of the most familiar kind. “Russia was too backward to produce anything other than a caricature of a socialist society,” he writes. “A liberal capitalist Russia wouldn’t come about either under tsarism.” Joining a long line of Western Marxists who view the Soviet system as a type of “Asiatic despotism,” Hobsbawm cites approvingly Plekhanov’s statement that Russian socialism could only be “a Chinese empire in red.” How often have we heard statements of this kind? Writing off Soviet totalitarianism as a relic of Oriental despotism shows a contempt for non-Western cultures that would not be out of place in a colonial bungalow. And how rarely do those who repeat these claims ask why the practical results of Marx’s conception of communism have been the same everywhere. After all, it was not only Russia that suffered comprehensive repression, ecological catastrophe, and omnipresent corruption. So did all the other countries in which a communist experiment was attempted. Far more than they were results of Russian backwardness, the flaws of the Soviet system were structural and endemic. Hobsbawm is bound to pass over the communist experience in silence. If he confronted it, he would have to admit that his sixty-odd years of Communist Party membership—which he seems not to have renounced even when the party itself was dissolved—was a life-long exercise in self-deception. The distinguished Marxian academic resembles nothing so much as those czarist émigrés of the 1920s who never abandoned the dream that the old order in Russia might someday be restored. Of course Hobsbawm would indignantly deny harboring any such hope. As he notes, “The Soviet-type model of socialism—the only attempt to build a socialist economy so far—no longer exists.” But the fact that he leaves open the possibility that a socialist system of some sort might be resurrected in the future gives the game away. A penetrating historian of the nineteenth century, Hobsbawm has learned nothing from the twentieth. This is to be expected. For him as for Eagleton, Marxism is more than a bunch of theories; it is a guarantee of being on the right side of history. Seeing the communist project for what it really was would be tantamount to admitting that their lives have been without meaning. Marx’s thought continues to be relevant to aspects of our situation, but not by virtue of anything to do with his revolutionary communist project. It is Marx’s insight into the revolutionary character of capitalism that is illuminating. Other thinkers have more to tell us about how we might cope with the permanent revolution that is life under capitalism. The post-Keynesian economist Hyman Minsky’s writings on the instability of finance-capitalism are more practically useful than anything that can be gleaned from Marx or his followers. But the great nineteenth-century thinker will always be worth reading for his insight into capitalism’s dangers and contradictions. Latter-day Marxisants cannot claim any similar distinction. They exemplify what is wrong with the capitalist culture that they (not always mistakenly) criticize. Hyper-capitalism of the sort that prevails now has little use for the past, and with so many people oppressed by a sense of the intractability of the world’s problems, the delusions of the last century were always likely to regain their appeal. This is where writers like Eagleton and Hobsbawm come in. Whatever we may think of them, they do satisfy a need. In marketing a defunct utopia—a profitable commodity in a culture that has lost its memory—the last Marxists have at last found a role. John Gray is emeritus professor of European thought at the London School of Economics and the author, most recently, of The Immortalization Commission: Science and the Strange Quest to Cheat Death (Farrar, Straus and Giroux). This article originally ran in the July 14, 2011, issue of the magazine.